Park Street Imports was recently featured in Market Watch for its innovative platform within the wine and spirits industry. With its proprietary cloud-based software, Park Street Imports offers alcoholic beverage brands, both emerging and established, comprehensive back-office services ranging from regulatory compliance to logistics and operational support. This provides brand owners with the freedom to focus exclusively on their brand positioning, marketing and sales growth. Park Street Imports takes the traditional distribution model and makes it accessible to businesses entering the alcoholic beverage industry. The craft spirits sector has grown exponentially over the past decade. As of 2017, there are over 1,300 active craft producers in the United States alone. In response to this trend, Park Street Imports launched the Craft Spirits Data Project in conjunction with ACSA and IWSR. The project analyzes market data and current industry trends to better understand the burgeoning craft spirits sector of the liquor industry and provide twenty-first century brands with the tools to make informed market decisions. The entrepreneurial environment has sparked interest from larger beverage companies. While an acquisition or investment from a large supplier is the goal for some craft beverage brands, others aim to build a company around their brands and instead focus on the product. This has propelled Park Street Imports’ business model and the opportunities associated with it. Park Street Imports will be updating and releasing the Craft Spirits Data Project annually. 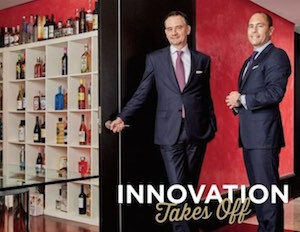 The next report is scheduled to be released this summer and Park Street Imports hopes that their findings and services will provide a platform for innovators in establishing their presence within the liquor industry. To read the complete Market Watch article click here. To learn more about Park Street please visit the services page or send a message via the contact form. Please feel free to send an email as well to info@parkstreet.com.